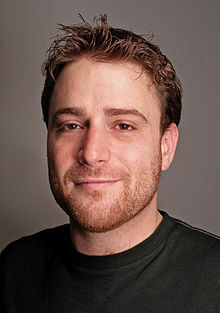 Stewart Butterfield’s projects don’t have a ton in common. The best-known one is Flickr, the landmark photo-sharing site bought by Yahoo. The most recent was Glitch, a whimsical online game that didn’t have enough players to keep running, and which shut down in November. Now Butterfield has pivoted Tiny Speck, the company behind Glitch, to produce tools for business teams to work together. Slack, which launches today, is a way to bring “all team communication into one place and make it searchable,” as Butterfield describes it. 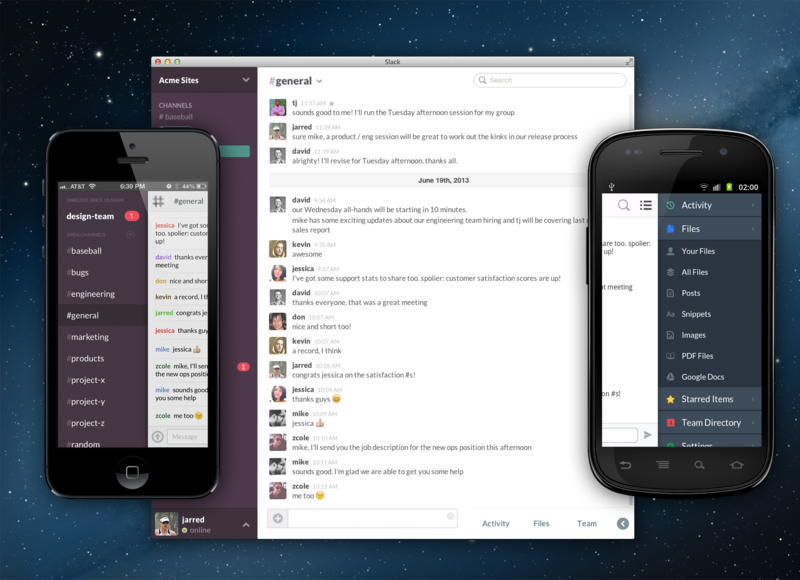 Slack is built for teams of five to 150 people, and combines persistent chat rooms, private messaging and ways to integrate various work tools so teams can discuss notifications from them. Butterfield said he does not yet know how much it will cost, but for now it’s free. To my eye, the thing that sets Slack apart is this idea of archiving and indexing a company’s discussions together so they can be searched. Some of the apps already integrated with Slack are Google Docs, Dropbox, Heroku, Crashlytics, GitHub and Zendesk, along with various software tools. That makes Slack different from workplace collaboration tools like Yammer, according to Butterfield. “Yammer is hopeless because it’s additive,” he said. That is, it replicates conversations that are also had elsewhere in the company where people are working directly. Okay, but why the move away from consumer technology to try to save the workplace from itself and its never-ending email threads? “The slow-motion breakdown of Microsoft means that all these tools are fragmented,” said Butterfield. That creates an opportunity to glue it back together. At Tiny Speck, while building Glitch, the team was continually developing its own corporate tools on top of the chat-system IRC. This cobbled-together collaboration tool became the basis for Slack. In fact, Slack is the second workplace collaboration product to emerge out of Tiny Speck. The other is Tomfoolery, led by Kakul Srivastava, which has more of a social approach. Tiny Speck has raised more than $17 million from investors including Andreessen Horowitz and Accel Partners.